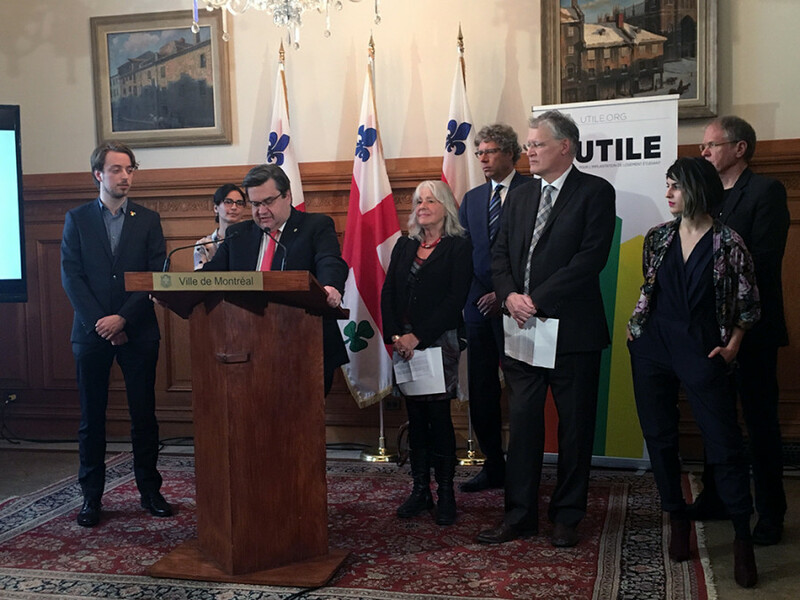 Montreal Mayor Denis Coderre announced the city will make a $500,000 contribution for the Concordia Student Union Housing Project during a press conference at city hall on Tuesday afternoon. Construction is set to start this summer, with the co-op housing complex set to open in July 2018. The specific location of the co-op housing complex was also revealed to be on the corner of Papineau Ave. and Sherbrooke St. E., which is next to Parc Lafontaine. The complex will have 90 apartments with varying sizes—from one bedroom to four bedrooms each. When the complex is open, Laurent Levesque, the general coordinator of Unité de travail pour l’implantation de logement étudiant, said that he expects the rent to be on average $470 a month. “Over time, the project stands to become more and more affordable compared to the market as it continues to increase, we increase [rent] as little as possible, just to cover inflation,” Levesque said. Talks between UTILE and the city have been going on for almost four years, according to Levesque, but the city finally became involved in the project after they set the funding model and location. The project is expected to cost $14 million. UTILE and the CSU are working on getting a bank loan for the mortgage, which is expected to cost $8.5 million. The CSU originally invested in the project when students voted, by referendum in 2015, to move $1.85 million from the CSU’s Student Space Accessible Education and Legal Contingency fund to the Popular University Student Housing fund, which was created specifically for this project. Coderre said that for now, this will be the only support that the city will pledge to the project. UTILE’s mission, Levesque said, is to support student-led housing projects within the province, and that other universities and student unions have already expressed interest in doing similar projects. He added that Carleton University in Ottawa is also interested in a student housing project.